The Forecaddie says Keith Pelley got on European Tour 1—or British Airways—and pitched Rory McIlroy on making sure to play four non-major/non-WGC events to retain his membership. With it, presuming Rory follows through, is the right to some day Captain a Ryder Cup team. Had he let his membership expire, no cart in Rory’s future and even more unnecessary drama than he’d already created. It’s almost cinematic imaging Pelley—in somber black frames—pleading with Rory in his childhood home to find two events he hasn’t committed to! Jordan Spieth and Zach Johnson leading understandably led Mike McAllister's PGATour.com roundup of day one at the Travelers, but one back is Rory McIlroy. It seems the lad spent his post-U.S. Open performance further refining his seemingly-great swing to get back to a certain year, enabling him to work the ball both ways. “The feeling I have now is the feeling I had in the middle of 2009. “That’s basically what I did over the weekend. I got a feeling that really resonated and brought me back to a time when I was swinging really well, and sort of went with that feeling." Okay so it's like 2009-11, but still fascinating that he'd drifted that far from his swing of seven years ago and that he could get it back in a weekend. I can't say I agree with Rory McIlroy's assessment of recent U.S. Open course setups, but as Dan Kilbridge notes for Golfweek, the 2011 champion chimed in following a strong third round at Muirfield Village. Ah if it were only that simple! I certainly understand the player reaction to the Davis era of more variety and different questions being asked. Most have made the golf better to play and watch, with a few hiccups. But it's most intriguing to read McIlroy's example of overthinking setup, which may be a case of him overthinking just how much the USGA controls Mother Nature. 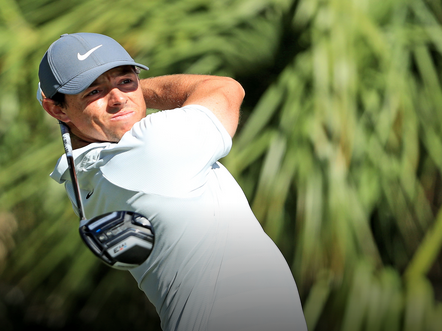 Rory McIlroy entered the Arnold Palmer Invitational Presented by Mastercard 124th in Strokes Gained Putting. He left Bay Hill 23rd in the category and also takes home a new red cardigan, a pile of cash and loads of confidence just two weeks from the Masters. Golfweek's Dan Kilbridge with the nuts, bolts and quotes from Sunday's dynamic finale. Ryan Lavner reminds us just how long it's been since McIlroy has won and what the victory means. Eamon Lynch with lots more on Brad Faxon's putting lesson and contest with Rory earlier in the week that helped turn things around for McIlroy. Will Gray at GolfChannel.com with a fun Rory anecdote from a dinner with Arnie. The Bears Club, Brad Faxon, Rory McIlroy, a putting "meeting," and T11 heading into the weekend? The intrigue! The drama! The Forecaddie with details that might explained how McIlroy has gained almost six shots (First in SG!) on the Arnold Palmer Invitational field with his balky putter. One immediate change McIlroy made this week after seeing Faxon was in the length of his putter. He is back to using a 34.25-inch model, the same as he used in winning his four majors. Kenyon had McIlroy using a 33-inch putter. 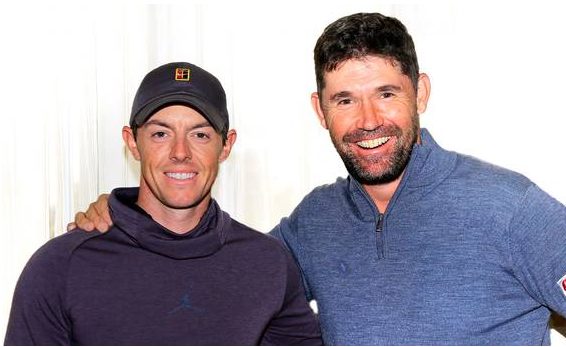 Carve out a few minutes or Instapaper this Sunday Independent conversation moderated by Paul Kimmage and featuring Padraig Harrington and Rory McIlroy chatting. And Harrington says that he prefers the version of McIlroy that he occasionally comes across in private to the public face. "I wonder sometimes about how you present yourself to the world,” he says. “It always seems much colder than who you really are. I don’t think I’ve ever been in your company where I haven’t walked away thinking you’re a nicer guy than I thought beforehand. And yet, media-wise, you can sound quite cold and clinical at times and I think: ‘He’s trying to be Tiger Woods.’ Because you present this . . . wall." There was a point you'd have to figure a player in their prime like Rory McIlroy would tire of the duties involved in hosting a professional tournament. Thankfully for the Rory-rejuvenated Dubai Duty Free Irish Open, the host will be handing duties off to a rota of Irishmen. In some cases this could be problematic, but given the charisma of Paul McGinley, Padraig Harrington, Darren Clarke and Graeme McDowell, the event should keep the momentum going. McIlroy's Foundation will still be the Irish Open's charitable beneficiary. Brian Keogh reports for the Independent on what the move means for Rory's career thinking and includes this from 2019 host McGinley. "He has certainly helped regain the momentum of the Irish Open and he has done his bit. He wants to remain involved going forward but the Irish Open was a weight of responsibility. "Even though he has won it, he has missed the cut for four of the last five years. So while his commitment to playing will remain, it is a question of handing over responsibility and we are happy to take on the mantle. 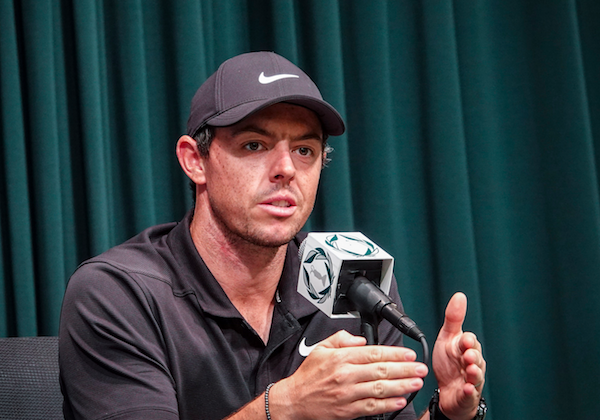 "We owe Rory a lot for where the Irish Open has come from and where it is going. So it is only right that we take responsibility off Rory's shoulders and let him do what he does best." One last request this year Rory before you hand things off: put that call into Tiger! He needs some links golf under his belt! "Rory firm's $105m loss after rights write-down"
I haven't a clue what this means, but Gordon Deegan briefly explains why Rory McIlroy's in-house management firm took a massive $105.4 million (€88.3m) write down in 2017. The paper loss stems from a non-cash writedown of $99m in the value of McIlroy's lifetime image rights. The Northern Ireland golfer is unlikely to be too perturbed with the loss, with 'Forbes' magazine last year estimating that he earned $42.5m in 2016 - broken down between $35m from endorsements and $7.6m in winnings. Deegan goes on to explain the finances of McIlroy's firm which presents far-fewer jaw dropping lines as the write-down. Rory named his ownself as manager/agent to Rory in 2013. Stephen Connelly's satirical* work is most impressive, particulary his mastery of voices! I found the Roger Federer reference telling from a member of Rory McIlroy's camp, as quoted in Derek Lawrenson's Daily Mail story following a final round 68 at Quail Hollow. ‘There’s a lot to be said for what Roger Federer did in tennis,’ said one of his inner circle, referring to the five months the Swiss legend took off to get fit before coming back to win the Australian Open in January. 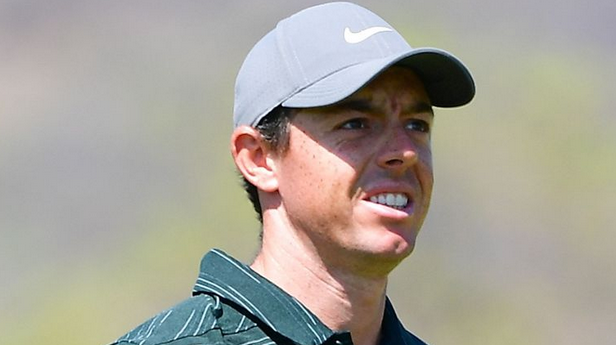 That sounds like a season shutdown, something McIlroy did not dispel following the round. Get ready for a seriously throat lump learning about the inspirational comeback of Traden Karch, an aspiring young golfer who's got some Rory in his swing and face. He has overcome a horrific accident with the help of doctors, family, friends, and Rory McIlroy, who narrates this Golf Channel piece. If you saw this on Wednesday's Live From the PGA at Quail Hollow or maybe caught a glimpse from afar without audio, make sure to check out this fine piece of work by producer Adrienne Gallagher. There is some truly blissful viewing here watching the Toptracer techology track Rory's monster carry yardages and his range balls bounding through the trees 350 yards away. Rory Didn't "Sack" His Looper..."Changed My Path"
For once I admire someone leaning on euphemisms and jargon to defend a decision, because it's pretty clear from reading Steve DiMeglio's USA Today account that Rory McIlroy didn't feel good about firing longtime caddie J.P. Fitzgerald midseason. Time will tell if, during a season he's mixed things up so much already, this was the right call. Karen Crouse of the New York Times notes something that suggest McIlroy could be forcing himself into a different level of engagement that either works or backfires. Last week, two days after finishing in a tie for fourth at the British Open, McIlroy parted with the caddie J. P. Fitzgerald. In their nine years together, Fitzgerald had shepherded McIlroy to four major championships and the top of the world rankings. For at least the next two weeks, Diamond, a Northern Irishman who had a decorated amateur career, will carry McIlroy’s clubs while McIlroy bears the burden of determining the yardages and choosing his clubs — and living with the decisions. 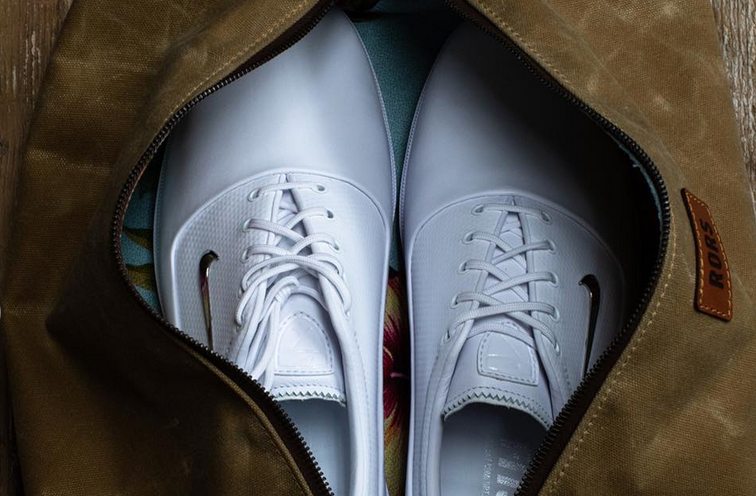 “I’ve enjoyed the last couple of days of carrying a yardage book, doing my own numbers, pacing stuff out, really getting into the shot, something I haven’t done for a few years,” McIlroy said. Roundup: Rory Sacks J.P. Fitzgerald, Turning To Best Mate As Next Bagman? Reuters' Andrew Both broke the news that Rory McIlroy was dumping his longtime luggage handler and sidekick of nine years, J.P. Fitzgerald. As Derek Lawrenson notes in the Daily Mail, the sacking comes "just 11 days after crediting Fitzgerald with transforming his fortunes at The Open." Oh, and let's not forget that Fitzgerald was credited with a pep talk that ignited a strong finish at The Open by...Rory McIlroy. James Corrigan in the Telegraph says the switch may have been prompted by a tenth hole strategic blunder at Birkdale, though of all the holes in golf to blame a caddie for mishandling, that would not have made my list. However, two days later, McIlroy’s charge for a second Claret Jug was derailed when he took a double bogey on the 10th, courtesy of the wrong club selection off the tee. Again, the spotlight picked out Fitzgerald. In the caddyshack, the development was not greeted with too much surprise. And do not expect an overload of sympathy either, and not just because Fitzgerald is estimated to have earned more than £8m in his employment with McIlroy. “It was coming,” one caddie told Telegraph Sport. Fitzgerald’s meticulousness has been called into question by his peers, some of who believe the mistake at Birkdale was merely the latest error. The British press has long blamed Fitzgerald for McIlroy's strategic blunders. But going off of McIlroy's handling of his equipment deals this year, especially the recent putter demo day debacle, it's hard to see how the caddie is to blame for bad decision-making when the client is very much his own captain. According to Corrigan, McIlroy appears set on turning to wedding best man and entourage chairman and three-time winner of the best pen name award, Harry Diamond. Diamond could even prove the permanent solution. A childhood friend who grew up in the same Belfast suburb of Holywood, Diamond is a fine player in his own right, having played with McIlroy in the Ulster youth team and going on to represent the Irish senior team. And he has caddied for McIlroy before. When the then 16-year-old prodigy was invited to play in the Irish Open in 2005, it was Diamond who was on his bag. The pair are extremely close, with Diamond reportedly acting as best man at McIlroy’s wedding to Erica Stoll in April. Sad news for those hoping to see major champions collide on social media as Rory McIlroy has instructed his wife to change his Twitter password, effectively ending any hopes of another spat with Steve Elkington. Alistair Tait with the details for Golfweek.com. His reasoning for getting annoyed with Elkington could be chalked up to an interclub dispute. The Major Winners Club. “It’s not what was said,” McIlory explained. “It’s who said it. Anyone that’s been in that environment should realise how hard golf is at times. That’s the thing that got to me more than anything else.